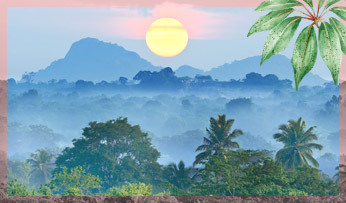 We have always been fascinated by not only where people travel, but why they travel too. The inspiration to explore can come from the smallest of muses, whether that’s literature, art or a story from the road. We believe that all of these muses, big and small, combine to create an Inner Compass, the inner navigation that leads us all to our next destination. When you're planning a trip, where does your inspiration come from? Do you search online? Between the pages of a novel? Or are the styles and colours of a certain country enough to ignite the inspiration that guides you? For us, there’s no end to the fuel that powers our compass, and lately we've been fascinated by what it is that makes some of our favourite female globe-trotters embark on their adventures. That's why we sat down with a few of our favourite inspirational travellers to explore what it is that keeps them on the road. You’ve read about our tastemakers and where their Inner Compasses are pointing, now it’s time to follow yours. 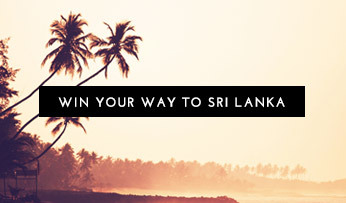 To celebrate the launch of Anthropologie’s summer wardrobe, we’re offering you the chance to win a 10 night Black Tomato trip to Sri Lanka that explores the stunning South Coast of this enchanting isle. Plus Anthropologie have generously thrown in £1000 to spend in store or online before you take-off. Entering couldn’t be easier, just follow the link below to be in with a chance of winning this incredible escape. 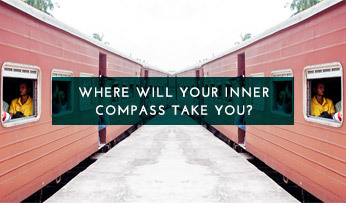 Where does your Inner Compass point? From the books we read to the people we meet, there’s no limit to the muses that inspire our Inner Compass. 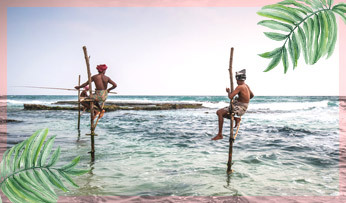 And we always love to hear how our other favourite tastemakers from the worlds of travel and fashion plan, prep and live-out their travel dreams. So we’ve been quizzing some more of our favourite inspirational female figures on what inspires the direction of their Inner Compass. 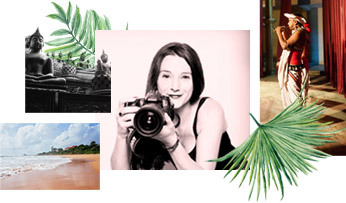 AKA Fashion Me Now, Lucy is a fashion editor and trend forecaster whose online blog chronicles the best in style and travel. From road-tripping in Rajasthan to relaxing at Zighy Bay, we caught up with Lucy about what keeps her on the road. AKA Flash Anthology, Alice is a freelance travel writer and blogger by day and PR & Communications Manager at The Hoxton, also by day. Her blog promises to provide your fill of all things fitness, food and travel. From a desk at the Black Tomato office (she was once one of us) to the chic city of Sydney, Hannah's portfolio is awash with industry expertise and stunning visuals - we should have never let her get away. Sunday Times columnist and fellow Desert Island Disk fanatic, Dolly pens witty prose for a collection of Britain's finest magazines and has a big passion for travel. Her stories never fail to make us laugh. Can’t wait to find out if you've won? Here’s a little insight into exactly what the prize entails to help you get excited – we’ll keep our fingers crossed for you.